Very Good. 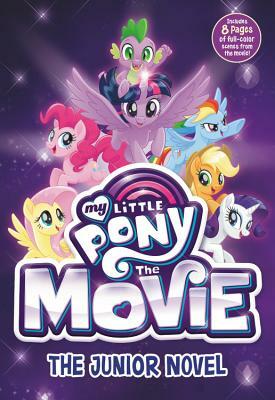 My Little Pony: The Movie: The Junior Novel (Beyond Equestria) by Berrow, G M. Trade paperback (US). Glued binding. 144 p. Contains: Illustrations. Beyond Equestria, 2. Intended for a juvenile audience. Good. Good shape with typical wear. May have a sticker on cover. Has a remainder mark. Paperback Used-Good 2017. Very Good. 031655765X Minor shelf wear.